Spray glue 20 is a high strength adhesive. With fast adhesion Firmly fixed in wood and used in other types of work such as plastic, steel, work pieces, laminates and others There is a spray head that can adjust the spray spray width to suit the nature of the job. 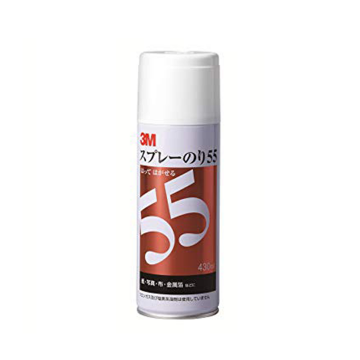 Spray glue 55 feature Regardless of the surface can be applied quickly and evenly, is in one-side coating adhesion. It is possible to design work in most materials (paper, metal foil, Cork, textiles etc) bond.